Pitbull-dogs.com the source for all about pit bulls. 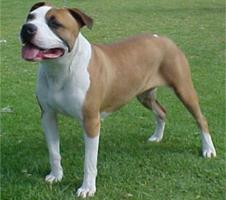 If you are looking for any kind of information about pit bulls, then you have reached the right place. Pit bull lovers are often perplexed about how to feed, train or generally handle their pit bulls. If you are one of them then help is here for you. This site shares comprehensive information and all you want to know about pit bulls starting from its history to details about its temperament and training details. For those who are unsure about whether they should keep pit bull as pets, this site will help you make up your mind and get one for your family. For information about the history of pit bulls and a description of the physical and behavioral characteristics read our article on “All you want to know about the American Pitbull”. There are different breeds of pit bulls and more information and characteristics of each of these breeds can be obtained from our article “What are the different breeds of Pitbull Dogs”. New pit bull owners need not panic. Managing pit bull puppies may require a little guidance and our article “Taking good care of pitbull puppies” tells you all you need to know about the behavior of these puppies, their food, immunization and more. Although people who have pit bulls as pest love them, there are many misconceptions surrounding this breed. This may be due to the origin of pit bulls or misconceptions floating around for years. If you are still unsure about whether you want to keep this wonderful animal as a pet, read our article on “Misconceptions we need to clear about pitbulls” and clarify all the doubt you have. It is not uncommon to make making mistakes while raising your pit bull. Avoid making the mistakes that everyone else is making. Read our article on “Have you ever these mistakes with your pitbull?” to help you raise your pit bull. Owning a dog is a responsibility that pet owners have to assume. Learn “Why and How to train dogs?” by reading our article. This will give pet-owners an idea of the benefits of raising your pet and pointers on what might help them bond with their pet and deal with any specific issues they might have with their pet. Bull terriers are active dogs that are best suited for some families. To get all the essential information about this breed and figure out if this breed will be fit for your family read our article on “Living with Bull Terriers”. People love taking pictures of their pets. Unfortunately taking a good photograph of your pit bull can be quite a challenge. This is discussed in our article “How to make a perfect picture of my Pitbull?” so that pit bull owners can create wonderful memories with their pet and capture some candid moments on camera. Finally, choosing am appropriate name for your pit bull can be confusing. Pit bull owners can use some suggestions regarding this and is the topic of discussion in our article “Choosing a name for your pitbull”. Are you missing a topic about Pitbulls? Please tell us and leave a comment! keep up the fantastic piece of work, I read few posts on this site and I conceive that your blog is very interesting and has lots of fantastic information. Yes thanks for the hint, I didn’t realize that the bookmarking buttons are not showing on the frontpage! Changed this! Thanks for visiting, I just started with the pages so check back later new stuff will be added in the next days! Hey would you mind sharing which blog platform you’re working with? I’m planning to start my own blog soon but I’m having a hard time selecting between BlogEngine/Wordpress/B2evolution and Drupal. The reason I ask is because your design seems different then most blogs and I’m looking for something completely unique. P.S Apologies for being off-topic but I had to ask! If you are looking for good pictures of pit bulls flickr is on of the right places to look at! I stumbled on this foto and I’m amazed about the quality. I never get it to make a sharp picture of fast moving pitbulls, but will keep on trying. New article online: All you want to know about the American pit bull. Such a Great article, Keep up the good work!